Anyone know of any hidden gems to ride, or their favorite routs? My rides have been getting a bit samey lately. I "enjoy" riding climbs, far as it takes if there's good terrain really. 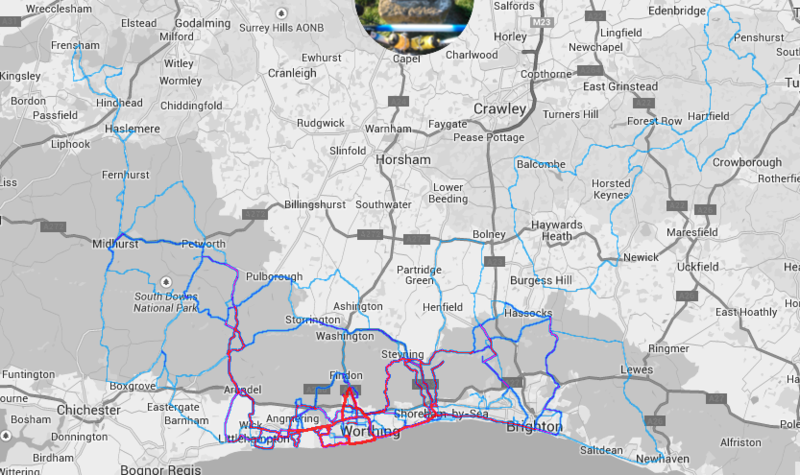 Cycled all the usual climbs in the area from Chichester to Ditchling. Could be a good place to share rides and routes maybe? Looks like you should head out and do streat, firle and bo peep from what I can see above. Cheers, looking at Firle Bostal and Bo Peep now, testy but look like decent roads. Might try and head out that way next week. Just got back from a quick ride. Rode Chantry Lane for the first time... Should have done a bit more research first as I didn't expect it to be as long as it was. Busted my legs out on the first steep ramps not knowing it got worse towards the end. Rewarding views from the top. Just rode Bignor hill for the first time. Steep stuff at the start, but nice and quiet. Slowly ticking off all the rideable peaks in the area. Have you tried all three ascents of Steyning Bostal? Two of which join ahlf way up The other from Sopers Lane before you get into Steyning. How about Kier Street in Lewes? I think I we spoke about the Steyning routes on another thread. Newham Lane being my favorite of the three. Is Kier Street cobbled? Friend of mine said he spotted one there last week? Spot on with Bury Hill, much preferred route for me is over Houghton Hill. Has anyone ridden Mill Hill in Shoreham? Longest climb in the area, just a shame it's too a dead end. Pretty much no cars tho. One of my favorites. Yes it is cobbled. Well stones set in concrete to be more accurate. Brick path either side. Firle Beacon, Still haven't missioned out that far East yet. Rode Chantry Lane today for the second time. Thought my legs were feeling good, till I got back and saw I rode it over a minute slower. Try and check out Kier Street soon. Don't use your best wheels, or approach it at speed from the downhill opposite! You will almost certainly damage something! Lol. Not ridden Firle for many years, I'd consider Chantry Lane a harder climb though, as it does steepen up. I ride it once a month, at the start of a shop mtb ride. Next Wednesday evening, if you're interested, 6.30. Raced up there BITD, too! As it doesn't go anywhere (for a road bike) I don't bother normally. I've been meaning to get some new rims, so might give them a proper last ride then. Yeah, starts to bite towards the end. 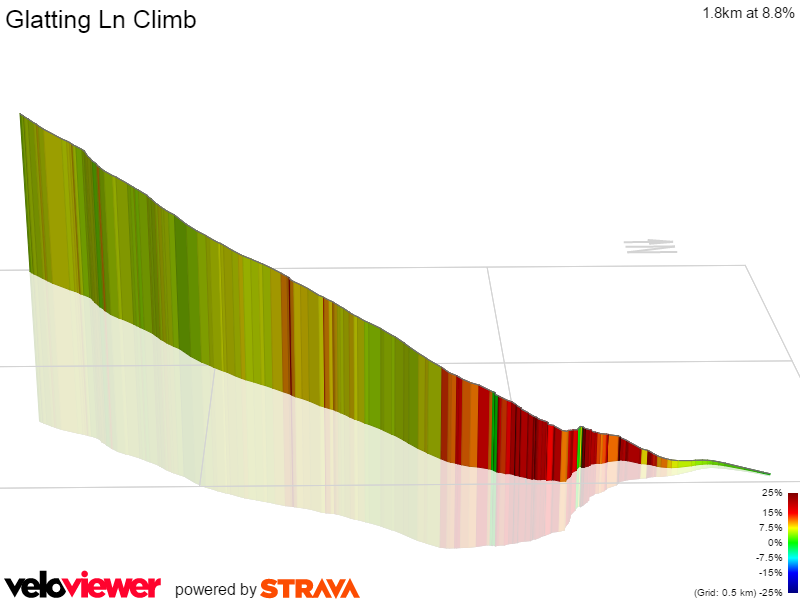 There are some good climbs like that dotted about, but shame they are dead ends. Pencil in a maybe for Wednesday. Normally play football then, but hasn't been on last couple weeks. I'll send you a pm. From Worthing, you're better of on the A27 to the turn off for North Sompting. Then instant quiet roads. Up the long drag of the Bostal, down, then either right, behind the Dyke area, or left, towards Wiston/Ashington. Lots of nice roads. Apart from crossing bigger ones that is. That's my usual go to route when I'm heading either North or East out of Worthing. And yeah Ashington way has some great roads. When I cycle to London or back most of my route is on the quiet roads inbetween the A24 and A23. Thinking next week I'll go exploring around the Lurgashall/Haslemere area for some climbs. Friend of mine showed me "The Drove" in Brighton today. Anybody ridden it? Think it had a 20% sign at the top. Yes I have. On the path, obviously. It's one way going down the hill. How about Tongdean Lane, Hove? Also, have you tried Albion Hill in Brighton? Ahh didn't notice the one way, shame. Nope, neither. Might do a day of those three then. Only descended down it, my friend wasn't too keen on riding up it. I can't imagine it gets too much traffic though.